Part of the medieval building, room fourteen on the first floor, is a small, pretty, gem of a room with two windows overlooking the lawn and garden, making this lovely room bright and airy. 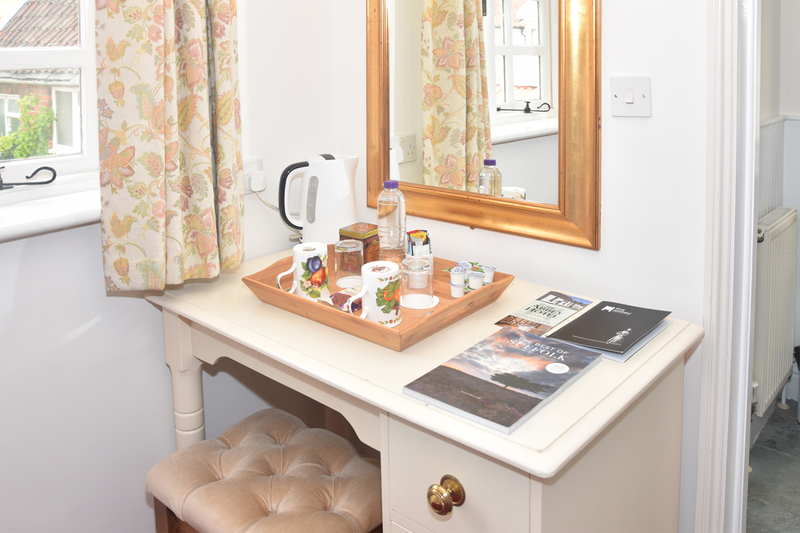 It has all the facilities of our larger rooms and a comfy chair. There is an ensuite shower room. 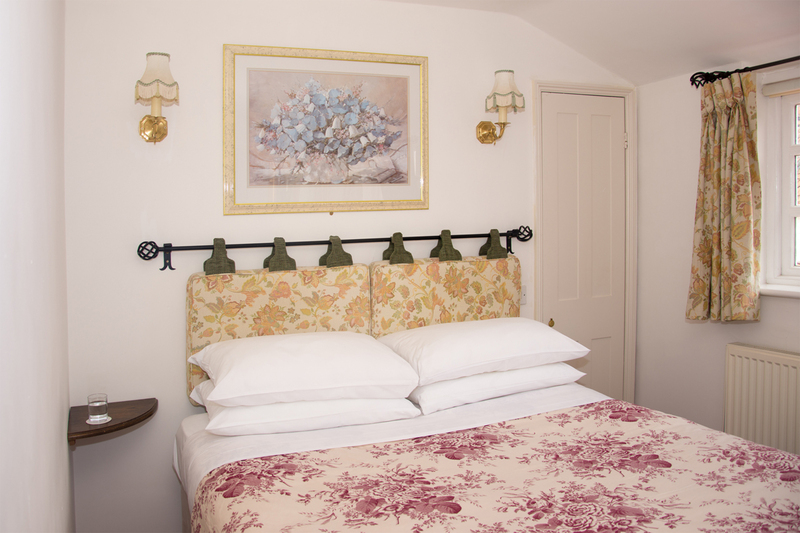 This room shares a front door and landing with room 13 and these rooms could be booked together. Please ask.